Starz announced today that the network has acquired the eight-episode drama series Dublin Murders, from Fremantle. The series is adapted from Tana French's first two novels in the Dublin Murder Squad crime series, In The Woods and The Likeness. "Dublin Murders" is an atmospheric, psychological thriller brought to life by acclaimed series creator and writer Sarah Phelps (Agatha Christie's "And Then There Were None," J.K. Rowling's "The Casual Vacancy"). Killian Scott (C.B. Strike) and Sarah Greene (Penny Dreadful) lead the cast as detectives Rob Reilly and Cassie Maddox. The predominantly Irish cast includes Tom Vaughan-Lawlor (Avengers: Infinity War) as Frank supported by Moe Dunford (Vikings) as Sam, Leah McNamara (Vikings) as Rosalind, Ian Kenny (Solo: A Star Wars Story) as Phelan, Eugene O'Hare (The Fall) as Quigley, Jonny Holden (Women on the Verge) as Damien, Conleth Hill (Game of Thrones) as O Kelly and Peter McDonald (The Last Kingdom) as Jonathan. "Dublin Murders is brilliantly adapted by Sarah Phelps, who in blending the first two novels has constructed a complex and enigmatic world for this suspense-filled drama," said Starz President and CEO Chris Albrecht. "We look forward to bringing viewers along on this intense ride." "STARZ is the perfect home for Dublin Murders and we are thrilled to be partnering with Starz to showcase this brilliant psychological drama from Euston Films, Veritas Entertainment Group and Element Pictures," said Caroline Kusser, SVP, Distribution US, International, Fremantle. Dublin Murders depicts a contemporary world of psychological mystery and tension, with roots that reach down deep within Ireland's past. The lead director of the eight-part series is Saul Dibb supported by John Hayes and Rebecca Gatward. "Dublin Murders" is produced by Euston Films, Veritas Entertainment Group and Element Pictures (Room and The Lobster) and executive produced by Sarah Phelps and Saul Dibb, Kate Harwood and Noemi Spanos for Euston Films, Alan Gasmer and Peter Jaysen for Veritas Entertainment Group, Ed Guiney for Element Pictures, and Elizabeth Kilgarriff for the BBC. 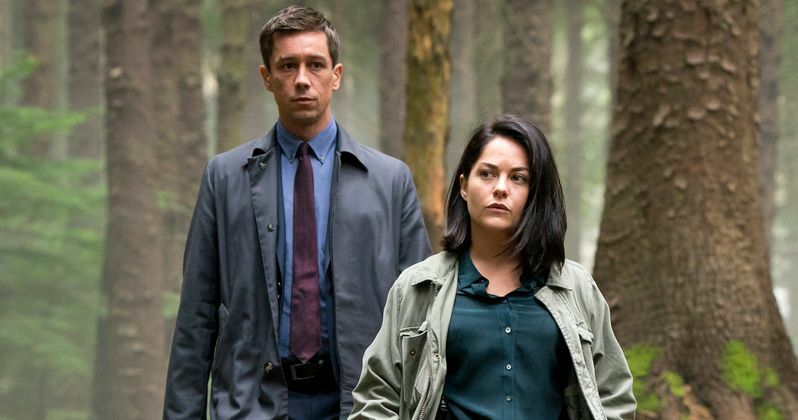 When a young girl is found murdered in a dense wood on the outskirts of Dublin, Rob Reilly (Killian Scott) - a smart-suited detective whose English accent marks him as an outsider - is dispatched to investigate with his partner, Cassie Maddox (Sarah Greene). Against his better judgment and protected by his friendship with Cassie, he is pulled back into another case of missing children and forced to confront his own darkness. As the case intensifies, Rob and Cassie's relationship is tested to the breaking point and when Cassie is sent undercover for another murder case, she is forced to come face to face with her own brutal reckoning. "I couldn't be more delighted to join the creative team behind 'Dublin Murders.' Sarah Phelps has beautifully adapted Tana French's compelling novels into a complex and dark exploration of memory, identity and the potentially devastating consequences of pursuing truth," said Killian Scott. "The chance to stumble into this world alongside the wonderful Sarah Greene and under the guidance of our brilliant directors." Sarah Greene added, "I'm delighted to be cast in Dublin Murders. To work alongside such talented people as Killian Scott, and the entire creative team is a joy. The writing is brilliant and dark and it's thrilling to give Tana French's words a new life on screen through the wonderful Sarah Phelps." Dublin Murders is coming to STARZ in the U.S. and Canada as well as STARZPLAY in Germany, France, Italy and Spain in 2019, with select additional territories to be announced. Fremantle is handling all other rights and territories. The series was originally commissioned by BBC One in the UK for RTÉ, with support from Northern Ireland Screen. Senior Vice President of Original Programming Susan Lewis is the Starz executive in charge of Dublin Murders. Executive Director for Program Acquisitions Jill Snider negotiated the deal on behalf of Starz.